This brilliant array will make you the ultimate classic beauty at the next event you attend. Women beauty is magnified tenfold in this graceful brown & orange colored saree. This sarees is made from georgette fabric which is highlighted with beautiful zari and resham embroidery, stone and lace border work. 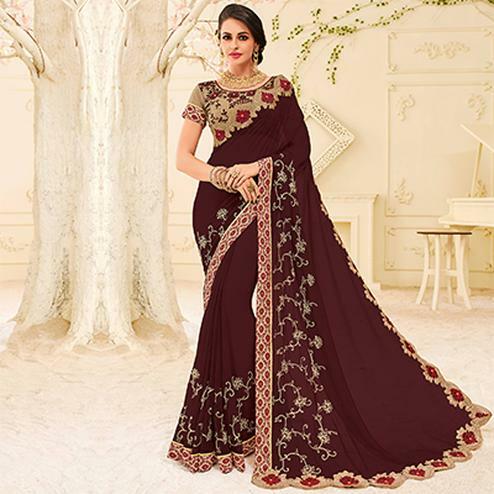 This saree Comes along with unstitched art silk fabric blouse piece which can be stitched as per your choice or requirement. Suitable to wear for family functions, social outings and parties. Team it with classy accessories to make your looks more beautiful. This saree is comfortable to wear and care. 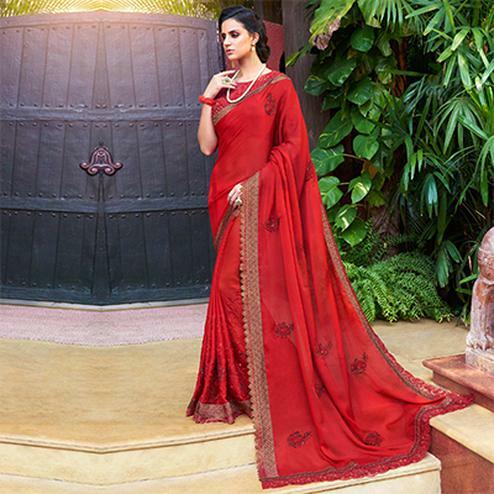 Buy this saree now as it's a unique piece which is rare to find.